ComVida is very pleased to announce that EMS 4.2.1.8 is ready for release. This update focused on key issues reported by our users. 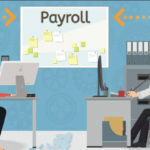 If you are still using Payroll 2.5 now’s a great time to upgrade and take advantage of the new features. Give the Helpdesk a call at 604.540.4400. #1924 – The Code length has been set to a maximum of 6 characters for Cost Centres, Departments, Positions and Units. #1259 – HR | User Defined reports for Current values export to Excel™ now functions as expected. #1666 – The Call Records Report now includes the Shift and Date of the Shift when they have been specified in the Call Record. The shift will need to be manually entered and the date selected for this data to appear in the report. #1578 – Shift coverage can now be set to zero. #1631 – In the Filter dialog, the Scheduling dropdowns now correctly respond when clicking on the blue down arrow ( ). #1635 – The Shift Handle tool will now use the Override hours to check the Overtime Rules. #1567 – The Shifts to be filled page first grid is now sorted on Coverage, then by the Shift Code. The grid can still be re-sorted to Shift Code only. To sort, click the label above the column and the order will change to ascending, click again to sort to descending. #1684 – The Employee Annual page will now only show one of each applicable assignment type per day, even when the assignment has duplicate entries. #1879 – Notifications now allow up to 9999.99/-9999.99 in the Hours field. #1887 – The Assignment Calendar and Employee Statistics reports will no longer time out when large amounts of information are included. 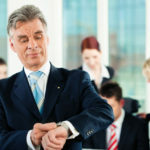 #1926 – The Import Time Swipes tool will display the employee’s badge number (employee code when the badge number is blank) when the import file contains swipes for an employee that is excluded from the Scheduling Employee List. #1936 – The Coverage table in the Shift Edit dialog will no longer grow when multiple changes are applied. #1940 – When a new employee is added to Scheduling, the Assignment Rules will always be defaulted to (None). #1941 – The Stat Not Worked tool now has an option to support the Alberta “Day of the Week rule” that requires an employee work at least 5 of the previous 9 day of the week on which the holiday falls. #1951 – A Notification can no longer be Cancelled once it has been set to Completed. #1953 – NEW**MPP Extract is now available within Payroll. Please contact helpdesk@comvida.com to use this new tool in EMS 4.2.1.8. #1803 – NEW**Custom pay slips are now available in Payroll – please inquire with helpdesk@comvida.com for pricing and configuration information. #832 – The Items Report will now correctly print all items even when an item has no formulas. #1522 – The Payroll Report Definition Type Block filter now correctly displays the Report Type block labels in the Report criteria page. #1608 – The Print Cheques tool will no longer prompt for log in after a test cheque has been generated. 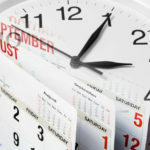 #1612 – The system now automatically refreshes the Pay Period number when Initialize Period or Calculate Period is run. #1632 – NEW**A PLLA (Pool Last Period) column has been added to the Adjustments grid for easier entry of prior pool values. In the Adjustment screen, scroll to the far right to find the new PLLA. #1798 – The Import PR Transactions process now correctly imports without error when importing from a PRTRN.LST produced using the TP.BAT. #1800 – T4/T4A Slips will now print for employees with a rehire Start date in the current year when generating T4/T4A Slips for the previous year. #1801 – The Initialize Period now confirms the Period End Type is “Year” for the last period of the year and will not move into the new year until the Period End Type is set to “Year”. #1802 – The Historical Calculate Period report will now complete when multiple periods are included in the report. #1808 – The Initialize Period will require a Calculate period before allowing the period to be advanced. #1819 – The ROE export file will now specify a “D” for Draft submittals to Service Canada and the printed ROE now shows the employees postal code. #1837 – Payroll Adjustments will now handle large negative values up to -999,999.99. #1896 – The Filters dialog will correctly apply changes to the Employee Payroll Type Block filter. #1916 – The GL Extract Summarize checkbox is now accessible in the GL Extract tool dialog regardless of the Bridge Table usage. #1921 – Cheques will now include the Company Name as specified when using the Print Company Info options. #1950 – During Initialize Period, the Fiscal Year values (CUFY and LAFY) will be adjusted to the prorated amounts when the “Adjust Fiscal Begin” option is checked in Payroll | Periods and the Fiscal Month End is set to a valid month (1 – 12). #1954 – The Payroll Email settings can now be configured to use SSL/TLS. Please contact the helpdesk@comvida.com for more information. #1956 – The Filter Builder dialog in the Report Writer page no longer hides upon opening the Filter Builder. #1586 – The Personal Shift Handle tool will no longer display an error the first time an employee logs in and attempts to make changes to his or her assignments. #1804 – An employee with delete security rights can now delete assignments as long as the assignment Shift is also set to “Modifiable by Employee”. #1838 – The T4 page will now only display an employee’s T4 Slip once it has been successfully exported. #1886 – The wage check will now display an error when the wage rate is greater than $100.00 and the Designated Group is not assigned.